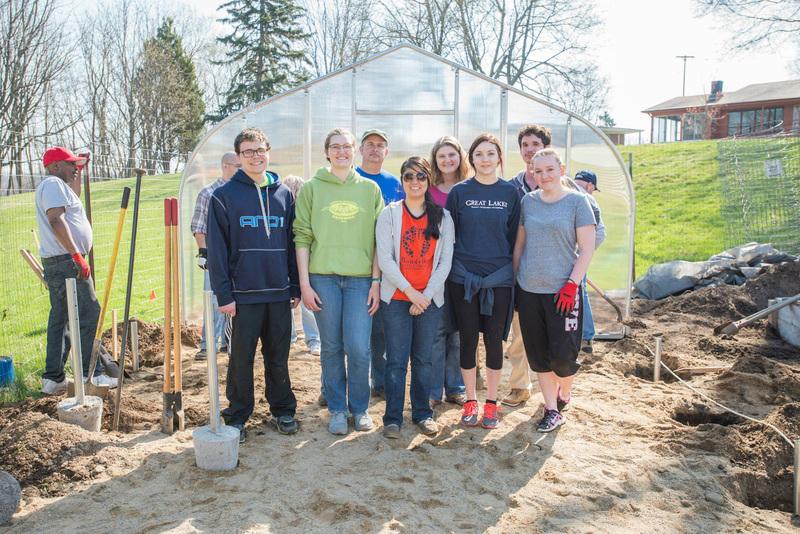 Kellogg Community College students and employees have been working together for the last few months to build and install a greenhouse addition to the College’s YES-KCC Community Garden, which is located behind the library on the North Avenue campus in Battle Creek. View more than 60 photos covering a handful of the works days held around the installation of the greenhouse in the YES-KCC Community Garden greenhouse and work days gallery on KCC’s Facebook page or see them below in the embedded gallery. The group photo above pictures KCC students and employees posing during a work day in the College’s community garden last semester. Photo by Sarah Huling.